After 17 years, the Nutricia Symposium retumed to its horne grounds in The of the 10th Nutricia Netherlands, where the first five Symposia were held. The objective Symposium was to bring together a limited number of opinion leaders and key researchers in selected topics of infant nutrition to discuss the current state of the art based on original contributions and reviews. The discussion sessions after the papers were taped and edited and may give additional information and views. As a result of time constraints, the discussions on a few papers had to be cut short, or, unfortunately, could not take place at all. Nevertheless, we strongly recommend reading the discussion sections, such as the panel discussion on the requirements for LCPUFA for term and/or preterm infants. During the preparation of the Symposium the sad news that Professor J . H. P. Jonxis died prompted the organisers to dedicate one special lecture to the memory of the principal organiser of the first four Nutricia Symposia. This lecture entitled “What determines the production and composition ofbreast milk?” was given by Dr. Kathleen Moti!. Acknowledgement should be made to the co-organizers and co-chairmen Professor Sir David HuH, Professor Pieter Sauer and Dr. Terence Stephenson for their contri­ bution. Finally, without mentioning names, the editors wish to thank a number of persons within the Nutricia organization without whom the Symposium and its Pro­ ceedings would not have been possible. Nutrition Of The Performance Horse: Which System in Europe for Evaluating the Nutritional Requirements? Nutrition Comments Off on Nutrition Of The Performance Horse: Which System in Europe for Evaluating the Nutritional Requirements? 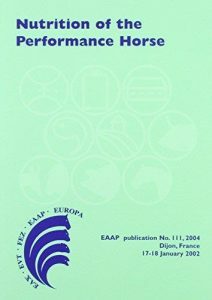 This publication contains the proceedings of the 1st biannual European Workshop on Equine Nutrition. It includes outlines of the recommended allowances for equines for energy and nitrogen nutrition intake in various European countries (France, Germany, Nordic countries and The Netherlands), where INRA or NRC systems are used. These outlines are given as main reports. Secondly, the book includes a synthesis on intake regulations, which is also given as a main report. Finally, the book contains the minutes of the different round tables conducted on energy, nitrogen and intake. All these materials provide a very good basis for further discussion of the scope of the working group on Equine Nutrition of the horse commission of the European Association for Animal Production. Nutrition and infection are often at a crossroads, interacting with each other and influencing human health. Infection is a major health problem and nutritional deficiency plays a significant role in increasing the risk of infection. 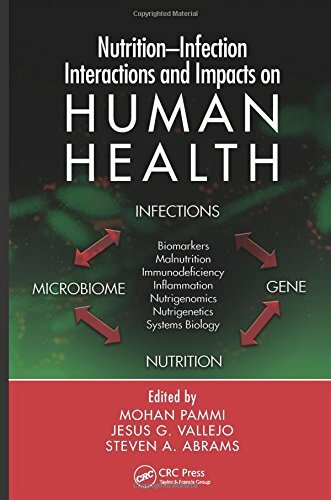 Nutrition–Infection Interactions and Impacts on Human Health presents state-of-the-art evidence on nutrition–infection interactions and their impact on health and disease. 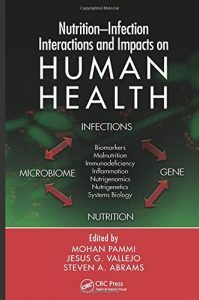 The book explores a wide range of topics including the effects of infection on nutrition—a common occurrence in the developing world—and nutrient–infection interactions for specific infections including HIV, TB, malaria, and parasitic infections. These are reviewed with a special emphasis on nutritional interventions. Also covered is the role of the gastrointestinal tract and its influence on nutrition, focusing on the human gastrointestinal microbiota, enteric syndromes, probiotics, and immunonutrients. 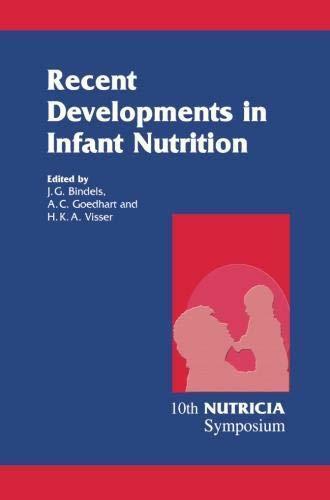 The book discusses infection–nutrition interactions in special age groups such as children, adolescents, and the elderly. It also reviews emerging nutritional and anti-infective strategies with an emphasis on future research directions. 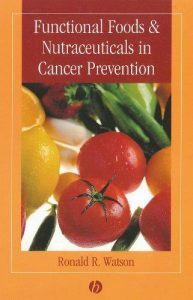 The book is useful for epidemiologists, nutritionists, and health care staff caring for patients. The book’s broad scope allows for its applicability to both the developed and the developing world. Over the past two decades, type 2 diabetes has emerged as a leading threat to global health, and the considerable overlap in obesity and diabetes trends are likely no coincidence. While the underpinnings for both etiologies are linked to lifestyles, particularly dietary and physical activity patterns, determining optimal approaches for preventing and managing type 2 diabetes using dietary composition remains a challenge. Nutrition and Type 2 Diabetes: Etiology and Prevention rigorously examines various perspectives on diet and type 2 diabetes. The book presents a comprehensive description and evaluation of the central research to date, primarily in humans, on the macronutrients and their subclasses, micronutrients, foods, beverages, and overall dietary patterns with respect to the risk of type 2 diabetes. It addresses the mediating/mechanistic role of obesity and body composition throughout the text where appropriate. 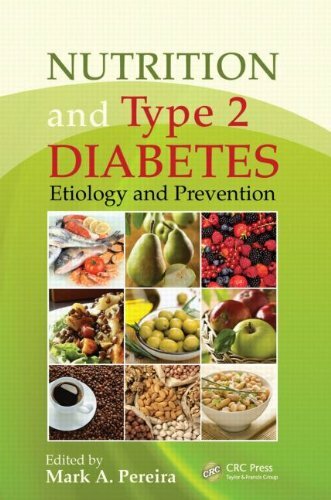 The chapter authors, all leading researchers in the field, discuss fundamental nutritional principles applied to the pathophysiology of type 2 diabetes as well as applied behavioral studies on nutrition and diabetes for each subject area. The depth and breadth of this book includes aspects of the “food synergy” model for understanding the complicated pathways between nutrition, dietary habits, and risk for type 2 diabetes. It also examines the effects of artificially sweetened beverages and coffee. This reference provides a review of the science on the potential impact of many components of dietary behavior and nutritional properties on etiology and risk for this disease, knowledge that is essential for formulating informed approaches to public health progress in this area. An Athletic Trainer’s Guide to Sports Nutrition fills the void of a subject area that is underrepresented in current athletic trainer curriculums despite its importance in the field. 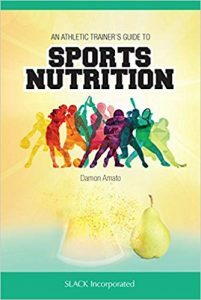 Damon Amato has created a text that can be easily read and understood by health care professionals yet is in-depth enough to create a solid understanding of how the body works, and easy enough to then pass on the information to athletes to help them eat ideally based on their specific sport, goal, and situation. Giving a physiology background is necessary to lay the foundation for understanding why certain recommendations in the text are given; however, only the necessary details are included to focus on what is pertinent for athletic trainers to understand while advising athletes. Updated to cover the latest scientific developments, a must-read for individuals, families, and medical practitioners that opens a new door in psychiatric health care. Psychiatry has made great advances in the past fifty years, but it needs a new direction. Today’s emphasis on psychiatric drugs will not stand the test of time. Recent scientific advances, particularly in the molecular biology of the brain, have provided a road map for the development of effective, natural, drug-free therapies that do not produce serious side effects. Psychiatric medications have served society well over the last fifty years, but the need for drug therapies will fade away as science advances. Nutrient Power presents a science-based nutrient therapy system that can help millions of people diagnosed with mental disorders. The author’s database containing millions of chemical factors in blood, urine, and tissues has identified brain-changing nutrient imbalances in patients diagnosed with attention-deficit/hyperactivity disorder (ADHD), autism, behavior disorders, depression, schizophrenia, and Alzheimer’s disease. 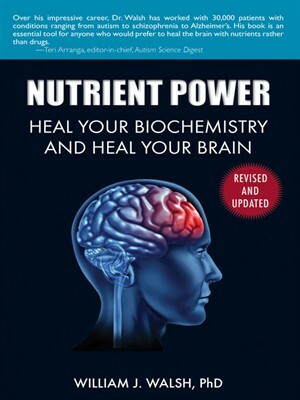 This book describes individualized nutrient therapy treatments that have produced thousands of reports of recovery. Walsh’s approach is more scientific than the trial-and-error use of psychiatric drugs and is aimed at a true normalization of the brain. Depression, schizophrenia, and ADHD are umbrella terms that encompass disorders with widely differing brain chemistries and symptoms. 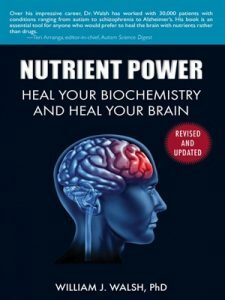 Nutrient Power describes nutrient therapies tailored to specific types, not umbrella solutions to individual problems, and offers a groundbreaking approach to psychiatric health care. Updates to the paperback edition include sections on nutrient therapies for bipolar disorder, expanded chapters on depression and schizophrenia, and analysis of the latest scientific developments in brain research and advanced nutrient therapies. Flavors are an integral part of nutraceutical formulations. Flavors offer significant advantage to Nutraceuticals when it comes to palatability and get an edge over other products in an extremely competitive nutraceutical market. 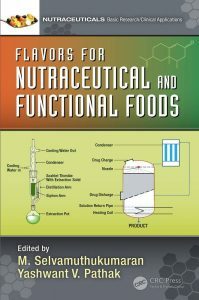 Flavors for Nutraceuticals and Functional Foods addresses different natural ingredients/botanicals used in various functional foods and nutraceutical products. The techniques of incorporating flavors in Nutraceutical products can be classified as conventional and using recently developed modern techniques such as nanotechnology are also covered in different chapters. These techniques are mainly used for masking the taste of nutraceutical and functional food products. 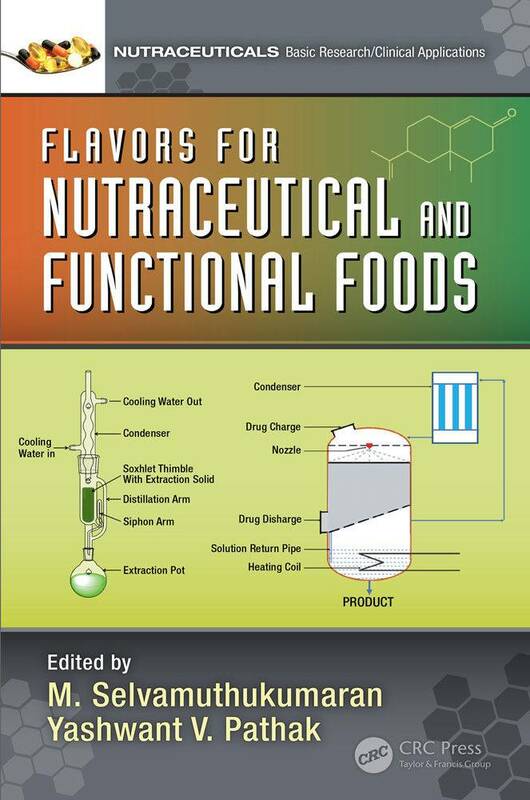 The book discusses the basics of flavors and the significance of the flavor industry in relation to Nutraceuticals. This book covers various processes involved in incorporating flavor and improving product acceptability. It provides an overview on the potential applications of the main terpene based flavors as part of nutraceuticals formulations. This book will serve as a reference to academicians and industry people who are involved in Nutraceutical formulations and marketing. M. Selvamuthukumaran, PhD, is Associate Professor, School of Food Science & Post harvest Technology, Institute of Technology, Haramaya University, Dire Dawa, Ethiopia. He received his PhD in Food Science from the University of Mysore, and his masters in Food Science & Technology from the Jawaharlal Nehru Agricultural University. His areas of research include antioxidant rich functional foods, probiotic & prebiotic foods advanced food processing & preservation techniques. Yashwant Pathak, PhD, is currently the associate dean for faculty affairs at the newly launched College of Pharmacy, University of South Florida, Tampa, Florida. Pathak earned his MS and PhD degrees in pharmaceutical technology from Nagpur University, Nagpur, India, and EMBA and MS degrees in conflict management from Sullivan University, Louisville, Kentucky. With extensive experience in academia and indus¬try, Pathak has over 120 publications, research papers, abstracts, book chapters, and reviews to his credit. He has presented over 150 presenta¬tions, posters, and lectures worldwide in the field of pharmaceuticals, drug delivery systems, and other related topics. 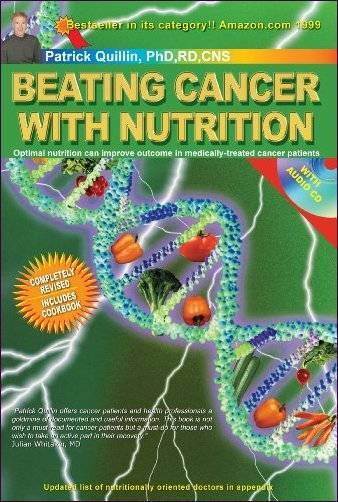 Optimal nutrition works synergistically with modern oncology procedures and can dramatically improve the quality and quantity of life for cancer patients. Nutrition helps to harness the incredible healingpower of nature and science, with the results being a healthy human body that is self-regulating and self-repairing. 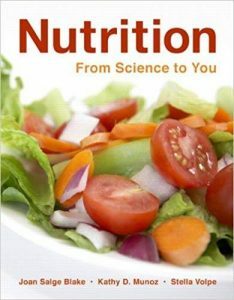 Nutrition: From Science to You builds on the strengths of its sister book Nutrition & You and takes a personal approach to introductory nutrition in the majors market. This book is geared towards visual learners and aids students in applying the material they learn to themselves and their future clients and patients. This text personalizes information for students to engage them in the subject matter, while retaining the scientific rigor needed. Innovative pedagogical features include the Visual Summary Tables, which present key information in the micronutrients chapters to support students as visual learners, and Table Tips throughout the book, which give students practical ways to improve their eating habits.